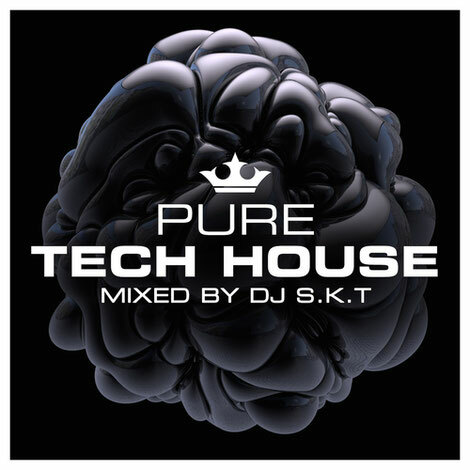 Pure, the brand behind Pure Garage as well as titles such as Pure Deep House to Pure Bassline, have teamed up with DJ S.K.T, possibly one of the UK’s hottest tech house artists for ‘Pure Tech House’, a 60 track mix through some of the genre’s finest tracks, from the biggest anthems, to exclusive new bangers. Possibly one of the hardest working producers, and most in-demand DJs around, DJ S.K.T, according to his PR, ‘is established as one of the biggest and best talents in the UK scene,’ with across the board tastemaker support from Annie Mac, Pete Tong, Danny Howard, Mistajam and DJ Target. Track highlights on the compilations include two of the biggest dance records of 2017, MK’s ’17’ and Campelphat & Elderbrook’s ‘Cola’, alongside cuts and remixes from artists including Disciples, Rudimental, Gorgon City, Sammy Porter, Route 94, Dusky, and Jamie Jones. The album also contains 10 brand new and exclusive new tracks, including four produced by DJ S.K.T himself especially for the album: ‘Back & Forth’, ‘Bet You Can’t’, ‘Bounce For Me’ and ‘A-Run A-Row’, the last of which is a collaboration with the multitalented actor, director producer, musician, and DJ, Idris Elba. It’s out 2 March 2018 on New State Music.